As of the beginning of this year, Alejandro Paludi has taken over the role of Chief Sales Officer for Aveco, with the goal of managing and expanding global sales. With over 30 years of broadcast industry experience, Alejandro is uniquely qualified for this role, having always worked at various sales positions. He founded his own dealer and systems integrator company in Argentina in 1987, then later based in Miami. In 2007, Alejandro began his adv entures in “corporate life,” first at Ericsson Television, then Harmonic and PrimeStream. He joined Aveco towards the end of 2014 in the role of Executive VP for LATAM. Alejandro will be based in Miami, where his fluency of English, Spanish and skilled communications in Portuguese will be of high value. He enjoys spending time with his wife and kids, and riding his motorcycle. 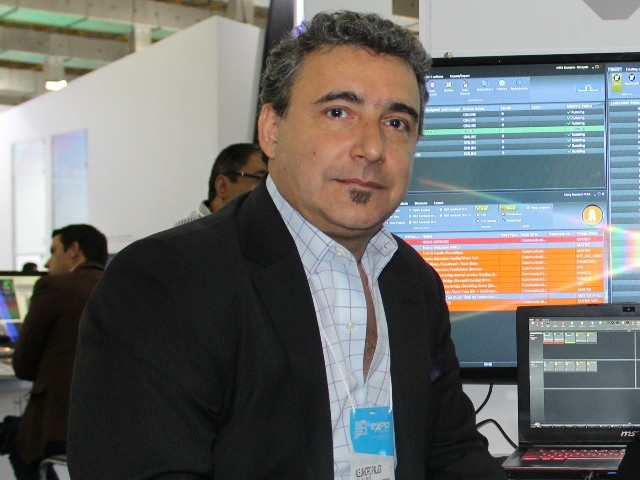 Meet Alejandro at NAB 2019, at the South Lower Hall, SL#2808!